Out of fresh garlic, and working on a recipe that calls for cloves? You probably have something in your fridge or pantry that you can use as a substitute. Let’s look at some options. Minced Garlic: Use 1/2 teaspoon of minced garlic in place of each clove called for. Garlic Powder: Use 1/8 teaspoon of garlic powder in place of each clove. Garlic Flakes (dehydrated minced garlic): Use 1/2 teaspoon of garlic flakes in place of each clove. Granulated Garlic: Use 1/4 teaspoon of granulated garlic in place of each clove. Garlic Salt: Use 1/2 teaspoon of garlic salt in place of each clove. This will add an extra 3/8 teaspoon of salt to your recipe, so decrease the salt in your recipe accordingly. If you have more than one of the above-mentioned garlic substitutes, go with the one that best mimics the texture of fresh garlic. Minced garlic is the closest match, and it can be used in recipes in the same ways that you’d use fresh. If you have to use a dried version of garlic, garlic flakes or granulated garlic would be the closest match. But again, any of these substitutes will add a garlic-y flavor to your recipe, so use whichever one you happen to have on hand. Many recipes call for sauteing the garlic in hot oil before adding the rest of the ingredients. You can do that with minced garlic, but if you’re using one of the other substitutes, you’ll need to alter the instructions slightly. Either skip this step or heat the garlic in the hot oil, stirring constantly, for a minute at most. This will help to release the flavors, without running the risk of burning your garlic. Sprouted garlic is still okay to use. So, if you were looking for a substitute because you just discovered your garlic had sprouted, you might not need one after all. To keep your garlic from sprouting in the future, be sure to store it in a cool, dry place. It should keep for months this way. If you’re allergic to garlic, or you’re preparing a meal for someone who is, try adding a bit of ginger or cumin to the recipe in its place. 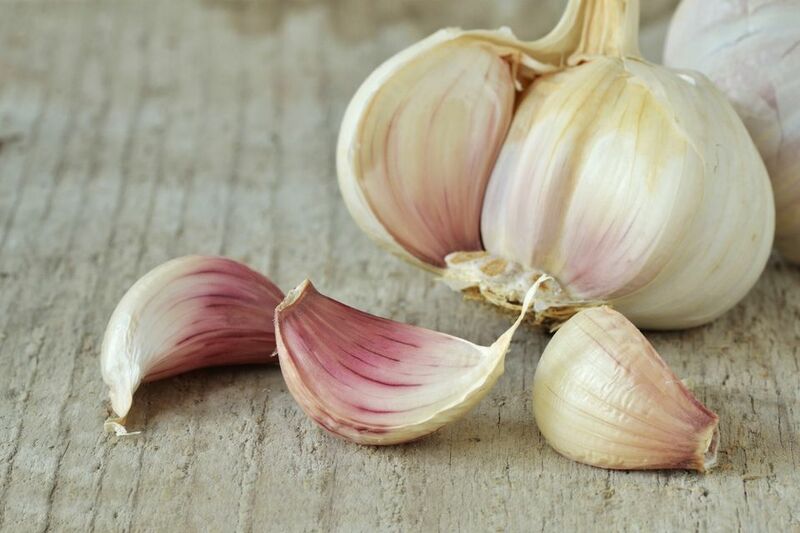 Neither tastes exactly like garlic, but they'll help to replace some of the flavor and fragrance that would otherwise be missing from the dish. Start with a small amount and work up, until you're pleased with the results.